Thisted, Denmark – During the course of 2017 Cimbria Unigrain received a record number of orders for loading chutes for discharging goods into ships and warehouses. These orders include loading chutes of various size and models designed for a wide range of products, including titanium, lead and zinc concentrates, fertiliser, sulphate, cement clinker, fly ash, coal, wood pellets, maize and grain. 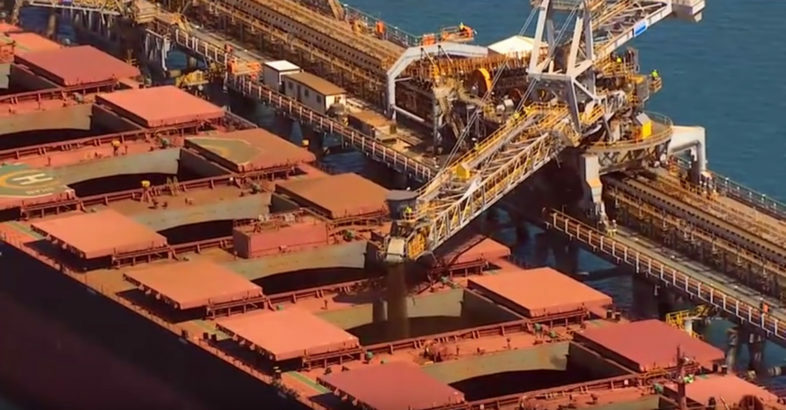 Rio Tinto has achieved the significant milestone of loading the first shipment of iron ore from its expanded port, rail and mine operations in Australia. This marks the commencement of commissioning of the expansion programme, which will see overall capacity for Rio Tinto’s iron ore operations in Western Australia increase to 290 million tonnes a year.